Apply the eight valley-folds of the step #16. Prepare unfold all eight valley-folds that you have just applied. 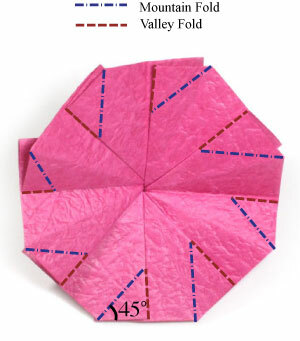 Unfold all eight valley-folds of the step #17. 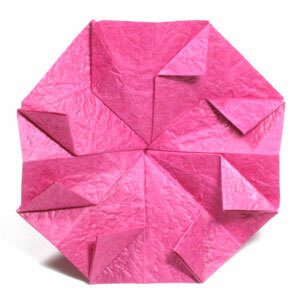 Prepare to apply eight "inside reverse-folds" .